Welcome to part 2 of Best-Selling Comics of June 2015 and thank you for joining me. In part 1 we looked at best-selling comic books while in this part we will be looking at the thing that the title said we would look at. Part 3 will be overall on how each company did in that specific month. The thing that most stands out for me is that how well the story Wytches has sold and it looks like Image has really gotten better with making these stories were it brings non-superhero readers to the world of comic books. 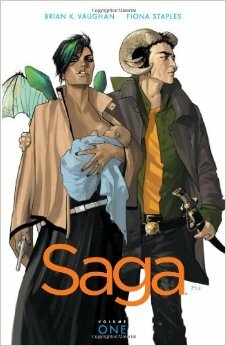 Also Saga is been very critically acclaimed. It is one of Image’s best-sellers. I am surprised that we finally don’t see Walking Dead, but that’s probably because nothing new came out for that, yet. Thanos: The Infinity Relativity which is surprisingly high on the list despite of the fact of me knowing of its existence got a place on the list including some other unheard of Marvel titles. I am loving that Ms. Marvel is doing well in sales because it proves that you can make new characters today and still be able to make them an instant classic. It looks like both Marvel and Image Comics are dominating equally of both having 5 top 10 titles sold in June’s sales of graphic novels and trade paperback. I am hoping that one day Image will be as successful as Marvel and DC with their comics, because they have came a long way and it would awesome for people to realize the awesomeness of Image’s stories. As for DC Comics, they should catch up. There!